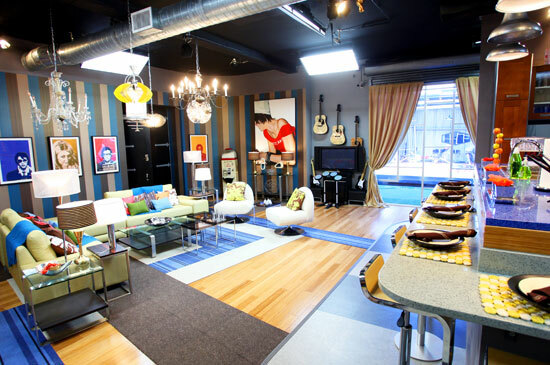 The Living Room in the Columbia Square Studios was located next to the Library and across from the Kitchen. Another view of the Living Room and Library from the Kitchen. Celebrity mug shots hung on the walls of the Living Room. The view from the Living Room looking towards the Library. Another view of the Living Room and Kitchen.